A new study finds that smoking has some additional dangers for mothers. 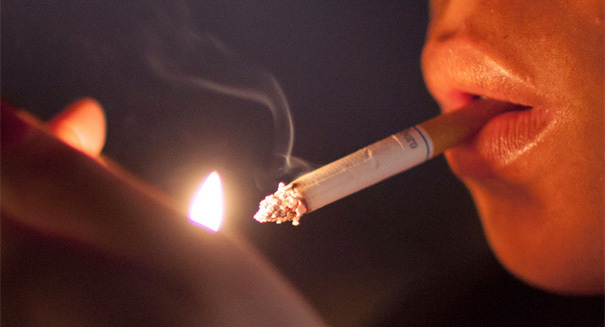 A new study has found that children of mothers who smoke heavily face some severe risks. They have a much higher risk of devleoping chronic obstructive pulmonary disease (COPD) as adults that involved research based on tracking COPD risk in 1,400 adults, according to a Wiley statement. The study found that heavy maternal smoking, or more than 20 cigarettes per day, triples the risk of long-term COPD in children, a finding that wasn’t surprising to those who authored the study. It’s not ironclad proof that smoking results in COPD in children, rather that there is a heavy association between the two. Still, it’s strong circumstantial evidence. Researchers examined surveys of 5,700 men and women that were completed in 2004 who had bene participating since 1968. About 40 percent of them said that when they were 7, their mother smoked, and 17 percent said their mothers were heavy smokers. The findings were published in the journal Respirology. COPD is a type of obstructive lung disease that results in long-term poor airflow and usually carries symptoms of shortness of breath and cough, and is a characteristic of people with chronic bronchitis.